StampOwl's Studio: Hoot Hoot Hooray! 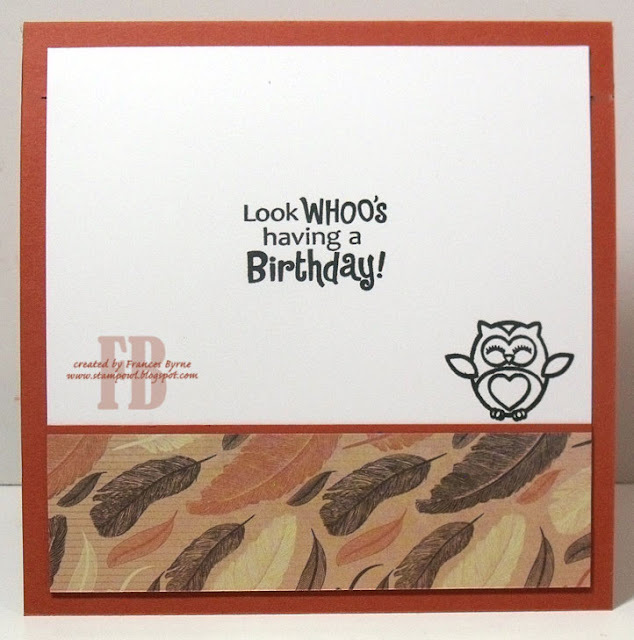 I have another Animation card to share with you today, using the Uchi's Design Flying Owls Animation Stamp set. To create my card I followed a video created by the owner of Uchi's Designs to make a envelope type slider card. By sliding the sentiment back and forth you can see the owl moving. I added flowers and leaves from ModaScrap to the top right hand corner of my card. Here is a short video showing my card in action. For the inside of the card I added a cute little owl and a sentiment. So cool and I love your colours. That pop of black!! I love this amazing interactive design!! Sensational work, Frances!